There is always a lot of progress being made at VIP. From new projects to completed projects, you can stay up-to-date with what’s happening at VIP here. Join our email list to receive our quarterly enewsletter which includes updates on projects, our employees, real estate opportunities and more. VIP Architectural Associates is currently working with owners Ken and Craig on designing their third location. Their new 5,700 SF New York style deli will be located on Buckley Road in Liverpool. The new campus will be a consolidation of St. Elizabeth and St. Luke’s hospitals, creating a new 672,000 SF modern medical facility that will sit on 72 consolidated parcels in the City of Utica. IPD’s role in this project is to design a state-of-the-art energy center for the campus. In June, VIP held the annual summer company party at Beak & Skiff Apple Orchards in LaFayette, NY. Among those celebrated were exemplary award winners who embody the core values of our company. Within only 14 months’ time, the 125,000 SF facility was designed, constructed and occupied. It highlights the company’s capability as a fabricator of quality custom stainless-steel tanks, while giving them the manufacturing space they need. The Upstate Minority Economic Alliance (UMEA) held their 1st Annual MWBE Community Engagement Awards at which VIP’s Chairman and CEO, David Nutting, was honored with the award for Executive of the Year. The ANSCO Camera Factory building is being transformed into a mixed-use redevelopment. The project is currently under construction with an anticipated completion date of June 2019. “Our team is looking forward to collaborating with Snow Kreilich, as a world-renowned façade specialist, to bring a fresh eye to this project that is rich in history and a cornerstone of downtown Syracuse,” stated Nutting, Chairman & CEO of VIP Structures. VIP’s team has taken an active role in assisting our clients in navigating through the Consolidated Funding Application (CFA) process, which has helped foster growth in our region. Pathfinder’s new expansion will increase their footprint from 2,500 SF to 4,375 SF, helping them to serve a larger client base now and well into the future. With over 700 scans and each scan averaging 40 million measured points, the laser scan truly captured reality for the project. In just four days all 15 floors of the hotel were captured using a combination of color, and black and white imagery. Connor Radley is the 11-year-old son of our Controller, Erin Radley. In March, Connor represented Maureen’s Hope Foundation and their Beads of Courage: Carry a Bead program for the Syracuse Crunch hockey team. We are excited to announce the hiring of Jane Amico as Project Executive. In her role, Amico is responsible for leading all client communication with internal team members for various projects. The Post Standard Building is our biggest downtown revitalization project yet – our vision is to transform this historic part of downtown into a live-work-play community. 2017 was a year of great growth, including new hires and promotions. We are looking forward to another positive year ahead. We believe that a successful business has happy and satisfied employees, so we filled 2017 with many fun events. For Ed, the idea of re-imagining a space not just from a programming standpoint but from an aesthetic point of view allowed for a great deal of creativity. Tom has a few favorite projects, but Kris-Tech Wire stands out. This was Tom’s first project as an integrated project manager and the first time he was able to witness first-hand the benefits of a true design-build project. The design of Masonic Labs and the research it conducts puts it in an elite category. It is one of three labs of this caliber globally, and upon completion it will be the most advanced lab of its kind. “All VIP teams (Architecture, Engineering, Construction & Development) have been collaborating…the true meaning of the work we do at VIP. This project is a prime example of what VIP does best. We do it from a single source – purchase to punch list,” said Chuck. As we come to the latter part of the year, we will once again ask our employees to support the local community through the United Way campaign. The United Way of CNY benefits a multitude of local organizations and nonprofits, a network of agencies, that work together to address the community’s most pressing needs. In March of this year, Feldmeier Equipment, Inc. awarded VIP Structures the design and construction of their new 125,000 SF headquarters facility in Syracuse, NY. Feldmeier Equipment is a third generation Central New York-based company that has been producing and supplying sanitary stainless steel vessels and equipment to the pharmaceutical, brewing, food, beverage, dairy and biotech industries since 1952. VIP Structures was awarded the project in April of this year by the Norstar Building Corporation. Freedom Commons is a 2 and 3-story multi-family residential apartment building that will consist of 7 townhomes, 47 apartments, and community space on the first floor which includes some transitional housing units. It is expected to be finished in July of 2018. Crescent Commons is the $16-million adaptive re-use of the historic Crescent Corset factory in Cortland, NY. When completed, the 150,000 square foot building will feature 41,000 SF of commercial office space, more than half of which is already leased, and 47 loft-style apartments with amenities such as a lounge, exercise room, and a private courtyard. The phase 1 portion of the Hall of Languages and Watson Hall Auditorium projects occurred simultaneously, and both projects made the tight completion deadline so that Syracuse students and staff could enjoy the newly renovated spaces at the start of the fall 2017 semester. Principal & Managing Member of VIP Architectural Associates (VIPAA), Katherine Nutting, was recently appointed to the Syracuse University Architecture Advisory Board. The Advisory Board exists to support the Dean, faculty and staff in their effort to make the School of Architecture the country’s leading institution for education and research in Architecture. Our Safety Director, Joe Perrone, has been contracted to provide site safety services on site for two of Norstar Building Corporation’s sites. This work is separate from his VIP duties for Freedom Commons in Syracuse, and now independently for Norstar’s Roosevelt Residences project in Utica. Additionally, Joe has been hired as a guest speaker for the last 2 years by Suit-Kote Corp. for their annual safety update. Sam Cosamano, P.E., LEED® AP, President of IPD said that, “A mixture of past project experience, established client relationships, and a booming local market naturally led us to extend our presence westward.” IPD’s second home is located on the twelfth floor of the Electric Tower Building, an iconic downtown Buffalo landmark. This is the third store that VIP has partnered with Price Rite on. In keeping with VIP’s strategic directive to provide client-focused services, VIP also took an active role in procuring economic development incentives. VIP was able to put together an aggressive 12-week construction schedule which allowed Price Rite to open June 25, 2017. VIP’s construction management team has recently been hired by Syracuse University to manage the interior renovations of classrooms, lecture halls, and seminar rooms at the Hall of Languages which will all take place over the summers of 2017 and 2018. We are excited to welcome the following new employees to the engineering and construction teams. Natalie Miller, an integral part of our marketing and business development team and an accomplished flutist, recently performed at West Genesee High School as a member of the Camillus Community Band (CCB). O-AT-KA Milk enlisted the integrated VIP team to help them determine logistics for their 205,000 SF warehouse and 30,000 SF material handling building. The project was complete within the 11 month timeframe. 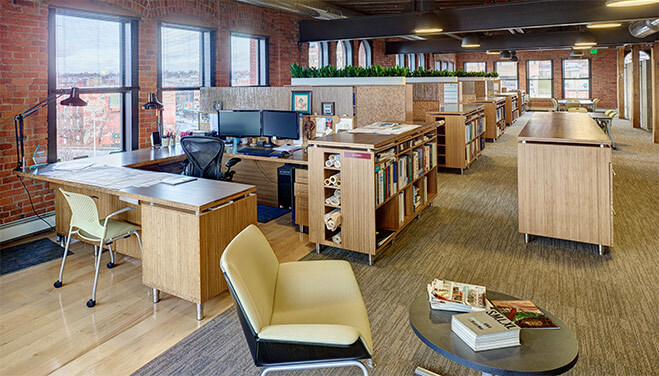 The 18,000 square foot office renovation included a complete reconfiguration of the existing layout which allowed for a more modern and open office area, new interior finishes, bathroom upgrades and lighting upgrades. VIP’s team was able to design and complete construction in just four months. VIP will perform full design-build duties – architecture, engineering, construction and development – on the new 60,000 SF Questar III BOCES vocational education center located in Castleton, NY. We are excited to welcome many new hires to VIP over the last six months and are still in pursuit of new talent. In November, VIP announced their intent to purchase the former Post Standard Building on Clinton Square in downtown Syracuse. VIP participated in the annual Salvation Army toy and food drives that benefit local families in need for the Christmas Bureau Distribution. And, for the sixth straight year we participated in the Tops Supermarkets Food for Families campaign to benefit the Food Bank of CNY. We’re excited to share with the world some of our advancements, decisions, and goals in the design, building, and development world. This means insights into safety measures, technological advancements, industry trends, enduring structures and more. Bill Blanchard, one of our Business Development Executives, will become President of the Board at Contact Community Services next year. Bill has been a member of the Board for the past 5 years, including serving on the Executive Committee for the past year in the role of Vice President of the Board. Meghan Tidd, Chief Marketing Officer, has been chosen as a 2016 40 Under Forty honoree. She was promoted to CMO in 2013 and oversees all sales and marketing for VIP. Meg also serves on the VIP Companies’ Senior Leadership Team. Today, the plastics industry is a multi-million dollar business in the United States. VIP has had the opportunity to help shape this industry in Upstate New York with the completion of over 1 million SF of manufacturing space. Our work with paper manufacturing began in the 1980’s with a 250,000 SF facility for Southern Container Corporation, now WestRock, a national supplier of paper and packaging products. Since 2003, VIP Structures has enjoyed a partnership with Syracuse University that has presented us with intriguing, complex and exciting new projects. VIP Architecture partners with BNY Mellon in Oriskany, NY to transform traditional office space into modern, collaborative space. VIP is always researching new design ideas and unique ways of adapting office space as the days of the traditional Open Office Plan seem to be numbered. IPD Engineering was hired to design all new mechanical and electrical systems for the restoration of the Hotel Syracuse, now the Marriott Syracuse Downtown. In May, VIP completed the 712 E. Fayette Street project, now known as Fayette Place. This 4-story, 39 unit apartment building that marks the first of many new student living facilities near the Syracuse University campus. In June, VIP celebrated all employees by throwing a company party at Beak & Skiff in LaFayette, NY. Among those celebrated were exemplary award winners who embody the core values of our company. On Friday June 17, VIP broke ground on a new Price Rite location on South Ave. VIP is partnering with both Jubilee Homes of Syracuse, Inc. and Price Rite to make the project happen. VIP put together a team of 15 employees who took part in the 3.5 mile run/walk. In April, VIP will complete a 42,000 SF addition for American Granby, increasing its state-of-the-art facility to 155,000 SF and providing American Granby the capacity to stock over 20,000 items. Since 1957, The Harvester Center in Batavia, New York has served over 2,700 businesses as the world’s first business incubator. Today, VIP is partnering with Mancuso Business Development Group and Batavia Development Corporation to study the best uses for the 960,000 SF of buildings. In 2012 VIP Structures was introduced to Leadership Greater Syracuse. Since then, VIP has taken every opportunity to have employees partake in the program as a way to enhance their personal and professional growth, as well as their individual tie to the community. VIP has been hired to supply and erect a 500,000 SF pre-engineered building for a leading aluminum can manufacturer in Nichols, NY. VIP construction will begin work on historic 900 East Fayette Street as the general contractor this spring. VIP Architecture has earned WBE (Women Business Enterprise) certification with New York State for architectural and construction management services. As fall arrives we start to look towards planning for the holiday season. After successfully completing work on the first Price Rite store in the Syracuse area, we will be beginning work on our second store in the very near future. JJ Jordano, of Syracuse, NY, has joined the company as a Designer. Michael Stringer, previously of Buffalo, NY, recently joined us as an Electrical Engineer and Project Manager. Guido Van der Ven, of Skaneateles, NY was recently hired as Managing Director, Investor Relations. Kevin Lepak, LEED AP BD&C, of Warners, NY, recently joined us as a designer. Greg Blais, of Baldwinsville, NY, recently joined us an Electrical Design Engineer. Sam Cosamano, P.E., LEED AP, was selected as one of the CNY Business Journal’s 40 Under Forty 2014 winners. Kate Hoeft, AIA, was recognized as one of the CNY Business Journal’s 40 Under Forty 2014 winners.